Come celebrate the graduation of the Class of 2019 at Senior Send Off! Class of 2019 graduates and families are invited to Senior Send Off on May 30 at Washington High School. This celebration will include free food, games and Dorm Prizes for the graduates in attendance. To register, please fill out the 2019 Senior Send Off Registration. More summer information to come with summer hours and locations! The Free Application for Federal Student Aid, or the FAFSA, is the federal financial aid application for students attending a college after high school. Seniors will fill out this form starting October 1 of this year! It can be completed and submitted at FAFSA.GOV. Learn more about the FAFSA and what you need to complete it by visiting our FAFSA page or by stopping into your high school's CACC today. Now is the time to start applying for scholarships! To learn more about scholarships, find out where and how to apply, and get reminders on upcoming due dates, please visit our Scholarships page. The Milwaukee Public Schools College and Career Centers assist all Milwaukee-area students in grades 6 through 12 (and beyond) with FREE support. Twenty school-based centers are open during regular school hours and after school (select locations) for postsecondary planning and access help. Stop in at the College and Career Center nearest you for college and career assistance! To contact us, please email us at CollegeAndCareerCenter@milwaukee.k12.wi.us or, to contact a specific center, please visit our Locations and Hours page for contact information. Thank you to our sponsors! 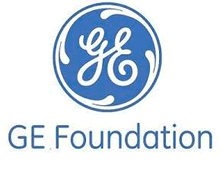 We could not do our work without the help and support from the GE Foundation and Ascendium Education Group! During Spring Break (April 14 to 19), CACC South Division will be open from 9 a.m. to 3:30 p.m., Monday to Thursday. CACC South Division will be closed on Friday, April 19. To see school-year hours of operation for each center and more, please visit our Locations and Hours page. Connect with the College and Career Centers!